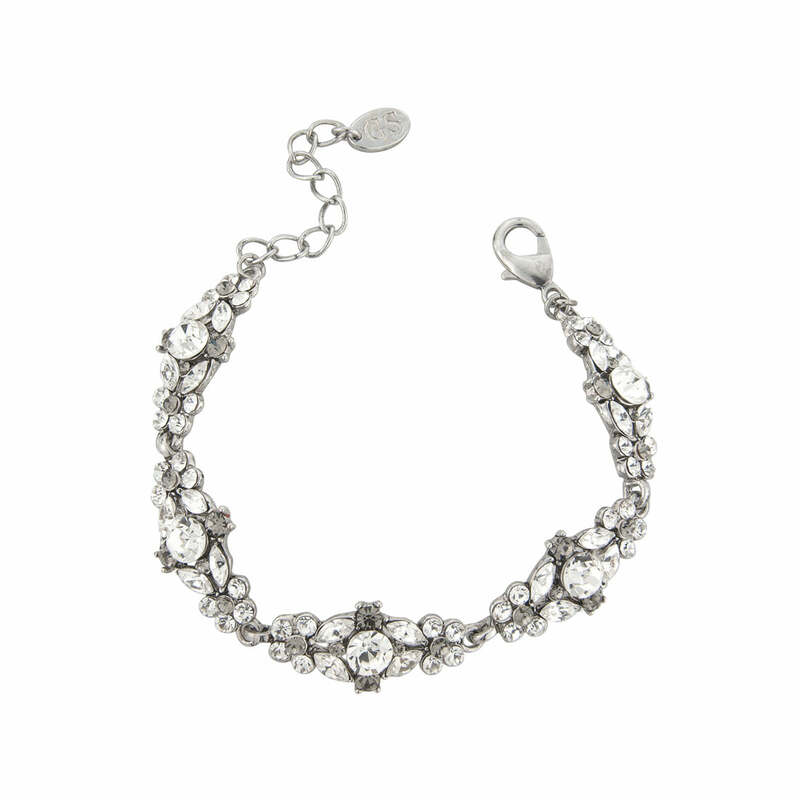 With clear and smoky crystals this sparkling bracelet looks like a precious heirloom. Encrusted with clear and smoky Austrian crystals and set on antique silver tone, Forever Vintage Bracelet could be mistaken for a precious family heirloom. Combining influences of 1930s and 1940s diamond jewellery with a touch of Victorian charm, this is perfect if you adore the beauty of vintage costume jewellery. With subtle muted tones, this 'piece' is for all occasions. For a black tie event, coordinate with Forever Vintage Necklace and Earrings or wear alone for a less formal dinner date. The most beautiful wedding bracelet for brides who adore the romance of vintage bridal jewellery. For striking statement style, compliment with a bejewelled smoky side tiara. Absolutely gorgeous piece and excellent quality for the money. I love it! I ordered this and the matching earrings for myself to wear at my Daughters wedding....Beautiful...can't wait to wear them.